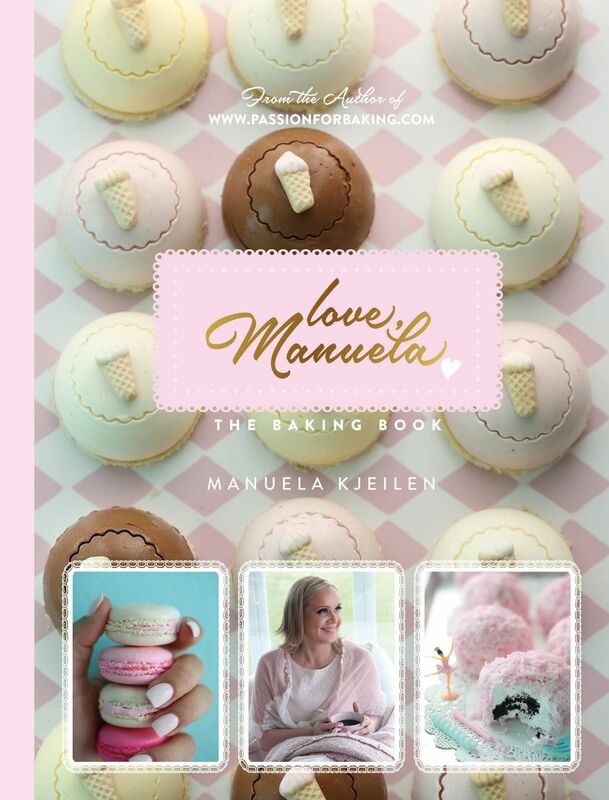 I´m not a fan of cake pops; I prefer cake the natural way. 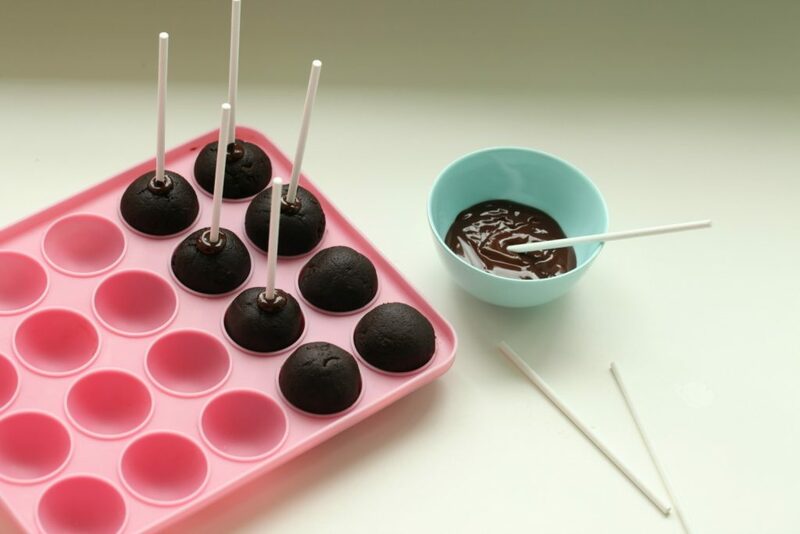 But at times when I have leftover fudge brownies, I like to make cake pop balls and dip these in dark chocolate; it is a great snack to have in the fridge. You can use any fudge brownie recipe, have fun. Bake fudge brownies, you can find the recipe here; or use any Fudge brownie recipe you like. 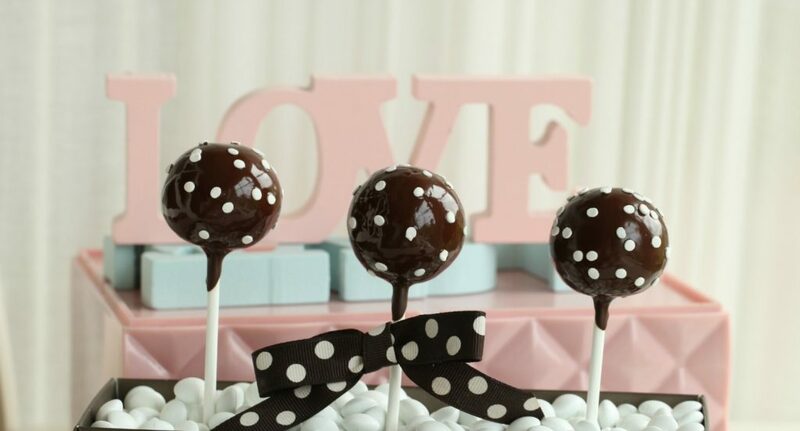 Dip the end of the cake pop sticks into dark melted chocolate and insert the stick into each ball. Put the brownies in the fridge until the chocolate on the stick is firm. 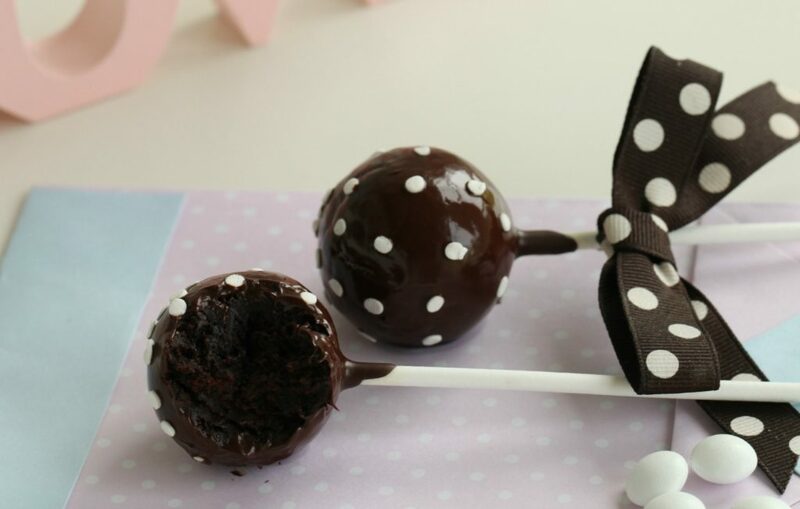 Dip the brownie pops into the melted dark chocolate until it is completely covered in dark chocolate. 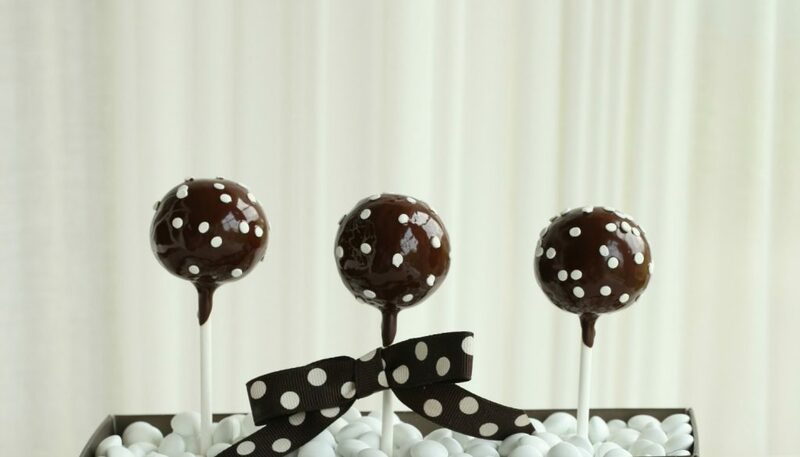 Decorate with some white confetti, for a beautiful polka dot effect. For finishing touches tie a ribbon around the pop stick.